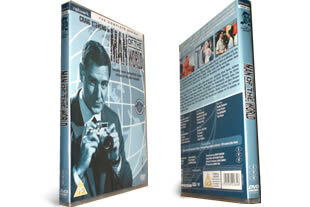 Man of the World DVD box set. The complete series on 5 dvd's. DELIVERED FREE IN THE UK. Aired during the 1960’s, this is a must have for ITC fans and anyone who loves action-based television drama. Starring Craig Stevens as Michael Strait and guest stars Anthony Quayle, Patrick Troughton, Alfred Burke, Warren Mitchell, Derren Nesbitt and many more. Michael Strait is a photo-journalist who travels the world from political stories to the catwalk. Each 50 minute episode includes danger, mystery and humour. This five dvd box set includes a never transmitted colour version of the pilot episode. 5 DVD Box Set delivered to your door.